What can be more rejoicing and cherishing moment of a sportsperson’s life, then that glorious moment when the whole nation is saluting and appreciating your efforts with loud sound of thunder claps. When the oldest and fieriest rivals England and Australia face-off each other in Ashes series, than such similar scenes gets replicated. From teenagers to the Old people or from the love birds to the entrepreneurs. The whole nation is gripped by a carnival of glee and ecstasy like never seen before. Such is the everlasting aroma and ambiance of Ashes cricket which captures the hearts of millions, whenever it takes place. In the 133 year old history of Ashes cricket, there have been many heroes over the years. Today, we make an elusive ashes list like never ever seen before. It will encompass the four most prolific run getters, four most potent wicket-takers and two greatest all-rounders on basis of their splendid stats in Ashes history. 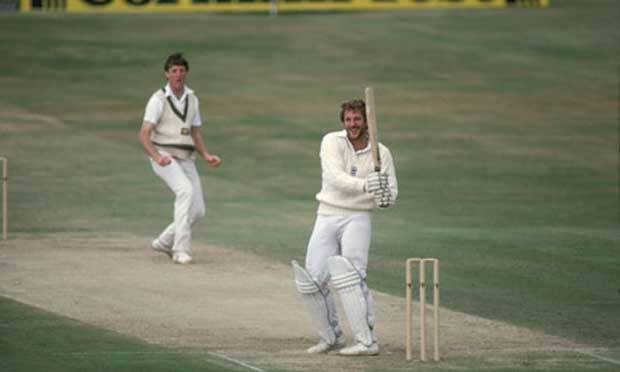 One of the greatest all-rounder of cricket history and the English icon: Ian Botham will always be remembered as the protagonist of 1981 Ashes series. The 1981 Ashes series was tagged as the Botham’s Ashes due to his invincible of heroics. With that series he stitched in the minds and soul of millions of English people that cricket matches are won by inspiration than preparation. His unparalleled self-belief and superior all-round skills transformed him into one of the greatest all-rounders of world cricket. He featured in 36 Ashes tests and grabbed 148 wickets at an average of 27.65 while with willow in hand he plundered 1,673 runs at an average of 29.35 with 4 centuries against his name. Overall, he is the 5th most successful bowler in ashes cricket. He will always be considered as one of the greatest all-rounders in ashes cricket and his match winning performances were much superior then his stats.